Do you love a rugged, four-wheeled adventure? If so, you can’t go wrong with Experience Days’ awesome range of quad biking certificates. Grab a helmet, hop astride your own powerful machine, and go where other vehicles simply can’t! 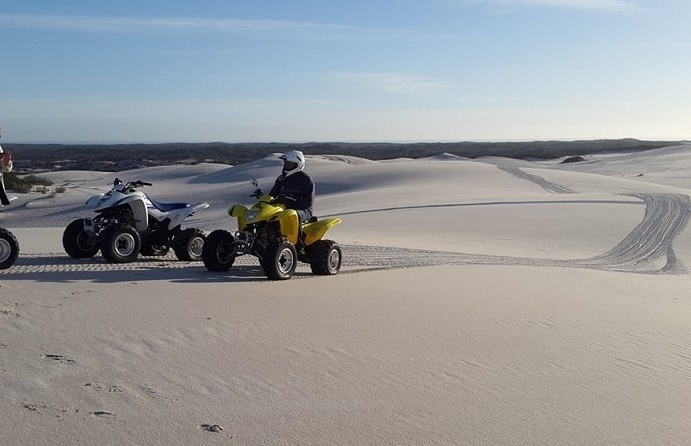 From the white dunes of Atlantis, to the Vredefort Crater – we’ve scenic rides that’ll blow you away. What’s more, each of these is led by qualified guides, ensuring maximum safety and fun for everyone – whether you’re a keen rider, or a complete novice! 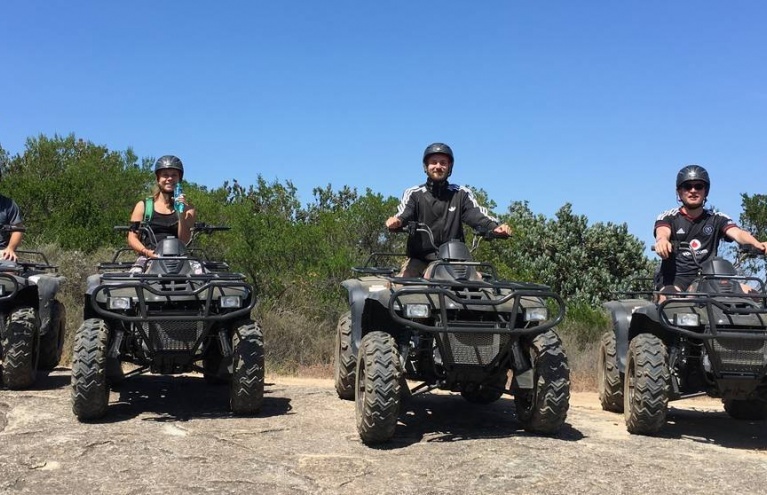 Quad biking can be enjoyed by almost anyone, and an Experience days certificate makes an exciting gift. So, what are you waiting for? 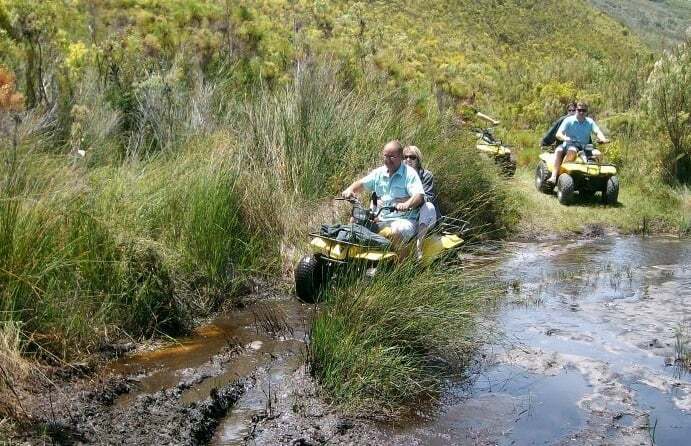 Treat someone to an epic quad bike adventure, today! 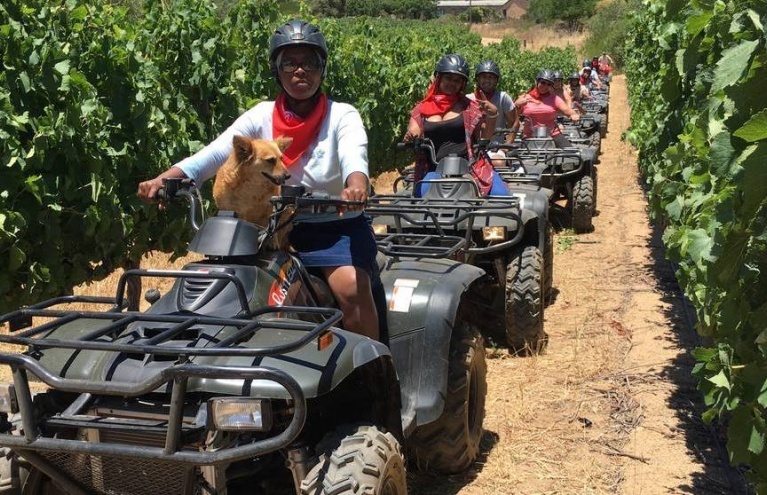 Trek to the top of Paarl Mountain on a powerful quad bike during this two hour scenic nature trail! The world’s first powered ‘quadricycle’ was built by Royal Enfield, in 1893, with a view to replacing horse-drawn carriages. However, quad bikes didn’t really take off until the 1980s, when several manufacturers introduced new, four-wheeled, all-terrain vehicles. Since then, quads have been put to good use all over the world, often in challenging landscapes, where they’re prized for their go-anywhere performance and durability. Happily, in South Africa, there are plenty of places to put these qualities to the test. In this section, we’ve collected the very best of them, so be sure to have a browse. You’ll find jaw-dropping rides at great prices, and gift ideas to mark any special occasion. Among them, we have trips through indigenous forest, over startling white dunes, and in Earth’s largest impact crater. 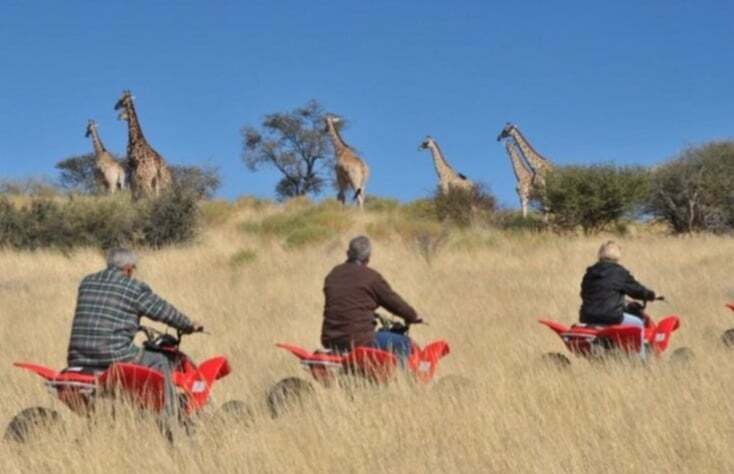 Animal-lovers can even traverse the Bushveld, in Pretoria – spotting zebra, kudu, wildebeest, and more along the way! A once-in-a-lifetime experience is more affordable than you think, with prices starting at just R300. So, if you’re shopping for the perfect gift, why not break with convention? 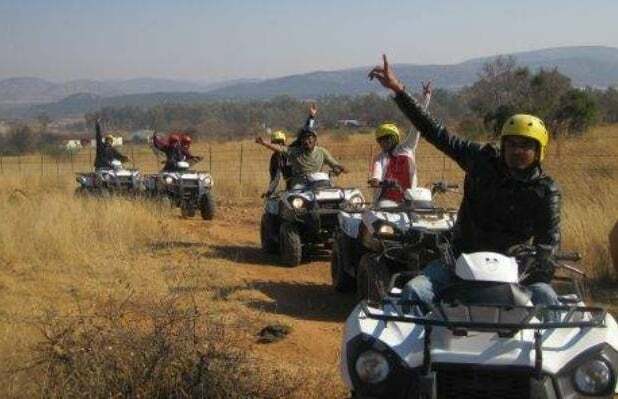 Give an Experience Days quad bike adventure, and let them run wild in the great outdoors!